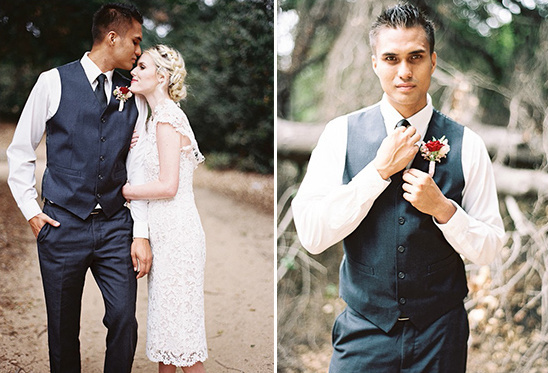 This vintage styled wedding shoot has a beautiful woodsy backdrop. Things that seem delicate and soft are paired against the natural grain of perennials and trees. 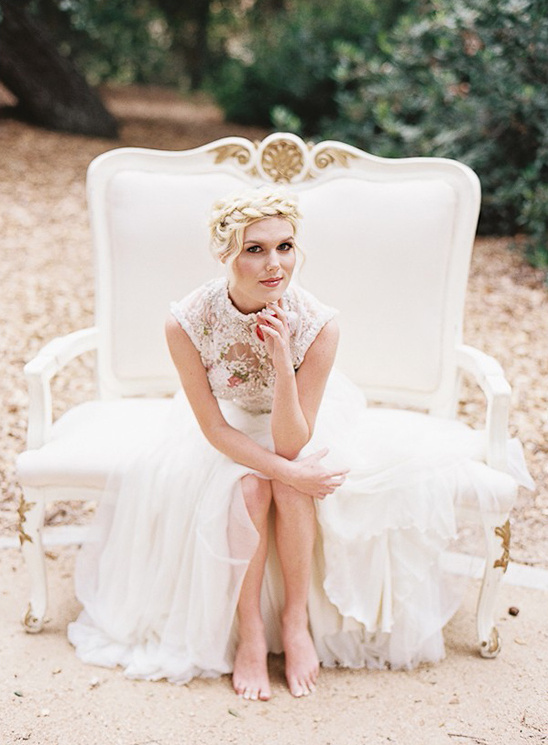 There's the perfect mix of a relaxed atmosphere and soft vintage details and lots of pretty dresses! If you're looking to wed amidst the forest you'll want to look through the full gallery here for even more lovely ideas, captured by Lucy Munoz Photography. 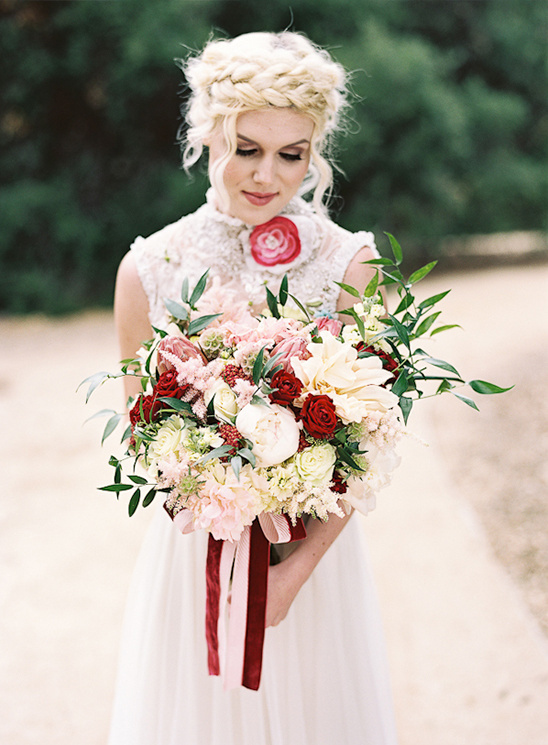 Keep scrolling to see a list of the beautiful blooms used throughout the shoot. Vivian Tran created double sweet milkmaid braids on Ashley and used a palette of soft creamy colors for her makeup. The dresses we used were heavenly! 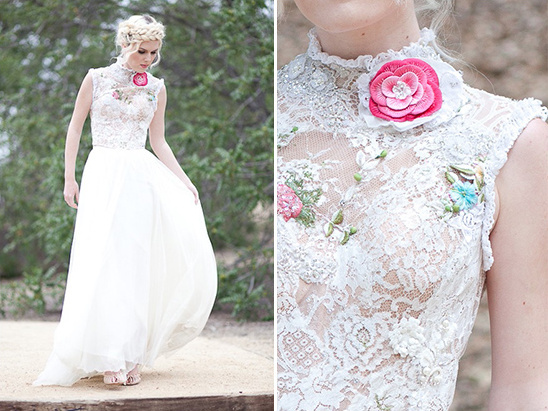 The Dar Sara top paired with a Sarah Janks tulle skirt made our hearts sing. We loved the flower and beaded work on the Dar Sara top, it created just enough excitement without going overboard. We knew we wanted something with movement, and adding the tulle skirt by Sarah Janks created the feel that we were going for. Of course, not to be outdone, we also paired the skirt with a Sarah Janks crisscross beaded top. It was another amazing piece. It made Ashley look ethereal, as if she were surrounded by clouds. The furniture was from Thrifted Sister Vintage and it made us jump up and down for joy. 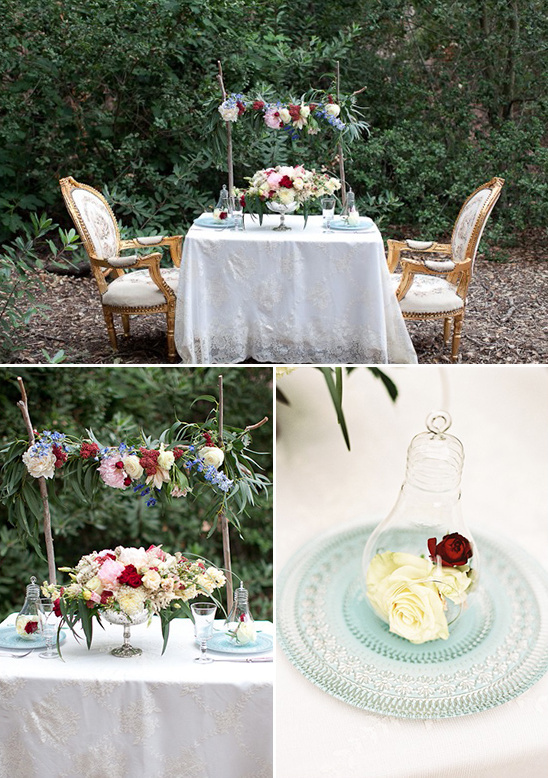 We loved how the vintage pieces stood out against the greenery. 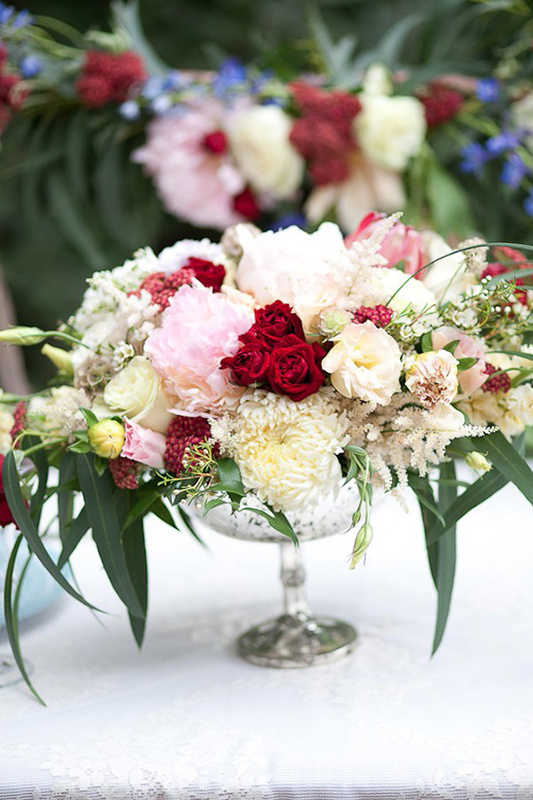 The beautiful floral arrangements were created by Divine Blooms and Designs. They always know how to create the most amazing arrangements. 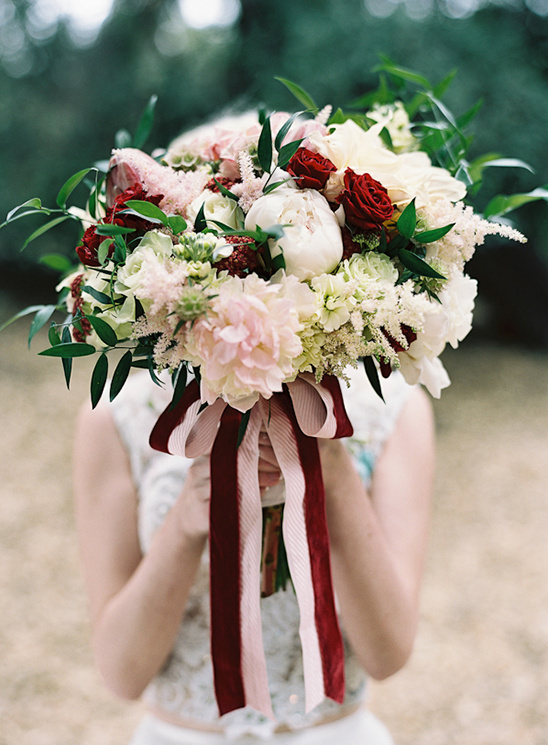 The arbor, centerpiece, and bouquet was filled with peonies, roses, protea, alstilbe, burgundy spray roses, Italian ruscus, and dahlias. The gorgeous invitations were done by Meagan Lacey Design. They had such a beautiful vintage feel to them and fit perfectly with our theme.